Every now and then, you chance on something so epic that you just have to share. This, I believe, is one of those times. I've been looking at lots of paint colours over the last couple of weeks as I attempt to choose the right shade of grey for our current decorating project. In the app store, I chanced upon the official Pantone app, paid my money and downloaded to my phone. Then I discovered that you could create colour palettes from your images. 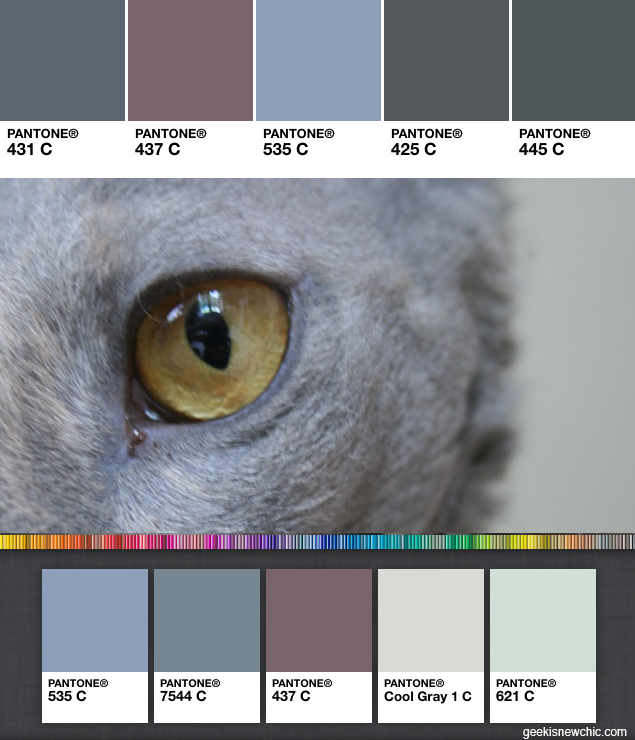 BOOM, Pantone your cat! Aggy is a perfect palette of subtle greys with a highlight of plum. Decorating problem sorted, courtesy of my kitty muse and the official Pantone app.